The Larry H. Miller Group of Companies, begun with one auto dealership, is now a multibillion-dollar enterprise that includes the NBA’s Utah Jazz, thanks to good governance. 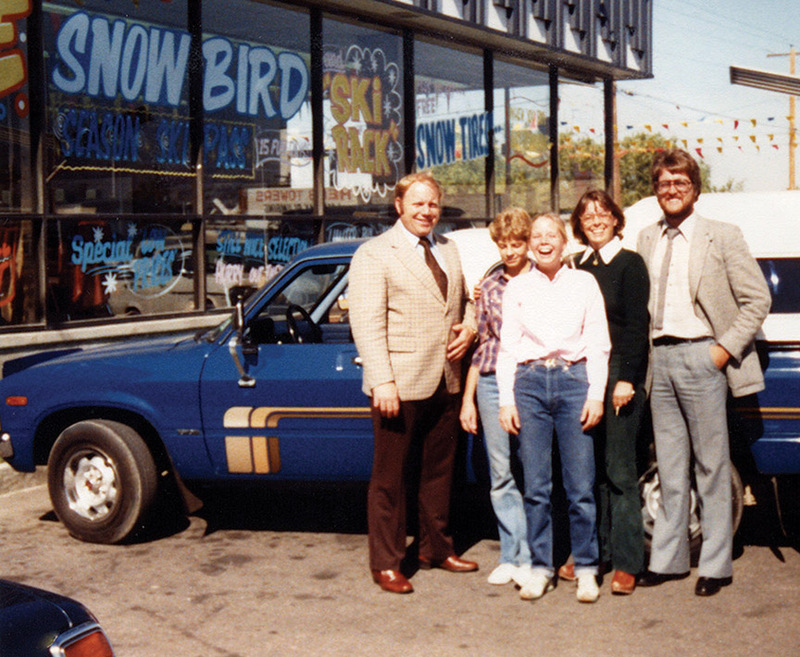 Larry Miller, who had started his career selling cars for other dealerships, grew his company, as all successful businesspeople do, through hard work and dedication. He spent long hours in the office while Gail took care of their children: four boys — Greg, Roger, Steve and Bryan — and a girl, Karen. When Larry would come home at night, Gail would sit on the bathroom floor while he took a bath. He would download his day to her, often asking for her opinion or approval. When the children started to lament the absence of their father, Gail made it a point to go to the dealership, pick up her husband for a family dinner out and then take him back to his office. Eldest son Greg Miller, 52, remembers when that first dealership was bought over lunch while the family was on vacation in Utah. The agreement was written on a napkin. “The business, from my perspective, was such an integral part of my life that it would probably be impossible to unravel the relationship between my personal life and my business life,” he says. As the Millers’ children grew up, they joined the company at the bottom and worked their way up. The sons started as “lot boys,” moving or washing cars for the dealerships. Karen worked in a dealership and at one of the financial services businesses. The sons were still working in the company years later when everything changed for the family and the business. Larry was diagnosed with type 2 diabetes in the early 1990s. Gail says she tried to get him to slow down, but her husband saw no reason for it. He never seemed to recognize the danger of his ­illness. In addition to a heart attack in 2008, Larry suffered “every complication you could have from diabetes,” Gail says. He died in 2009 at age 64. “It’s a sad death, because I think his working so much caused [his illness] and then prevented him from caring for himself,” she says. By this time, Greg had taken over as CEO. Gail says her husband thought he would make a full recovery from the heart attack and return to his post, but when the diabetes complications got serious (including a double leg amputation weeks before his death), that wasn’t to be. He started directing questions and decisions to his son. When Larry knew he had only days left, he stopped dialysis treatments. Before leaving the hospital, Larry called in executives and formed an advisory board. Larry died at home surrounded by his family. Today, Gail holds a controlling interest in the company, and her children are minority shareholders. Since 1979, the business has expanded on three main tracks: automotive sales, sports and entertainment, and finance and insurance. Larry Miller Dealerships has grown to 65 locations in seven states. The business started providing financing for auto loans to support the dealerships and then expanded to auto insurance, extended warranties and maintenance contracts. A somewhat surprising addition is Larry H. Miller Sports & Entertainment. In 1985, Larry and Gail bought a stake in the Utah Jazz basketball team (see sidebar). After they acquired 100% of the Jazz in 1986, they realized they needed to build a new arena to sustain the team and its growth. The company purchased a triple-A baseball team, the Salt Lake Bees, in 2003 after the founding owner died. In 2015, the Utah Jazz bought the Idaho Stampede, a minor league basketball team. They moved the team to Utah and renamed it the Salt Lake City Stars. Larry H. Miller Sports & Entertainment also owns the Tour of Utah bicycle race, one of the few American bike races with Union Cycliste Internationale (cycling’s highest governing body) classification. The company launched Jazz Gaming in May 2018 as an NBA e-sports team that plays 5v5 basketball games digitally. The company also owns The Zone Sports Network, a pair of local radio stations that air local games, including those played by the Jazz and the Salt Lake Bees, and Saxton Horne, an advertising and marketing firm that works for all the Larry H. Miller companies, in addition to other clients. 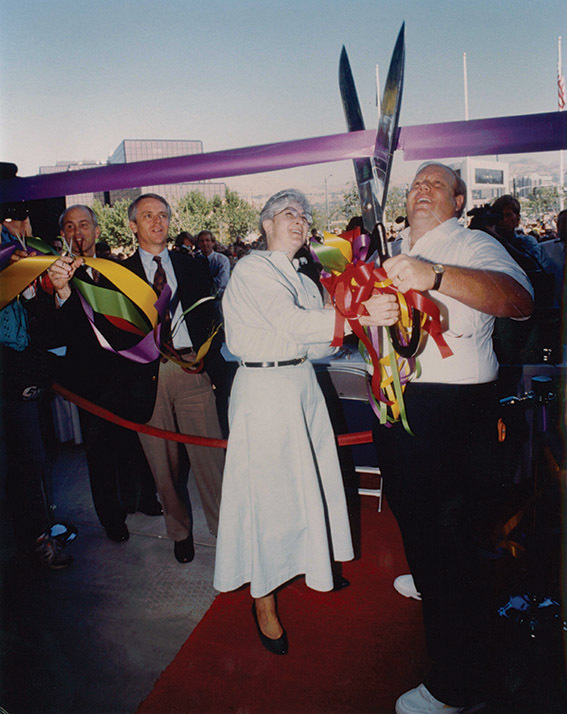 Rounding out the enterprise is the Larry H. Miller Management Corporation, Larry H. Miller Real Estate and Jordan Commons, home to a 10-story office tower, theater and events complex. About half these companies have been acquired or founded since Larry’s death, doubling the group’s employees and earnings. The company, which will celebrate its 40th anniversary in 2019, continues to diversify and will continue to do so in the future, Gail says. 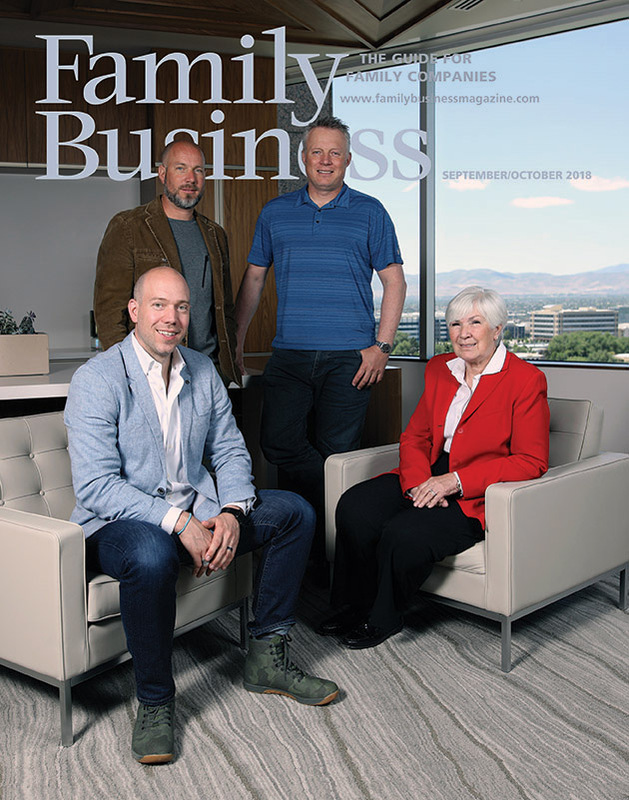 This year the Larry H. Miller Group of Companies’ board of directors was honored as a Private Company Board of the Year at the Private Company Governance Summit, hosted by Family Business, Directors & Boards and Private Company Director magazines. The company’s fiduciary board has been in place for two-and-a-half years, but the building of the board took much longer. Gail recognized that the company needed additional management and guidance beyond the advisory board Larry established. She went to his childhood friend Dennis Haslam for guidance. Haslam was a lawyer who served as outside counsel to Larry and had been president of the Jazz from 1997 until he semi-retired in 2007. “Larry said, ‘If you ever need help, call Denny,’ ” Gail recalls. The two started to research the nuts and bolts of forming a board. Haslam enlisted the help of the National Association of Corporate Directors, and the group sent representatives to help Haslam and Gail determine what qualities they would need in directors, what founding documentation was necessary and what committees would best serve the work of the board. Gail serves as chair, and Greg, Steve and Bryan currently sit on the board. Current CEO Clark Whitworth and Haslam also hold board seats, and there are six independent directors. 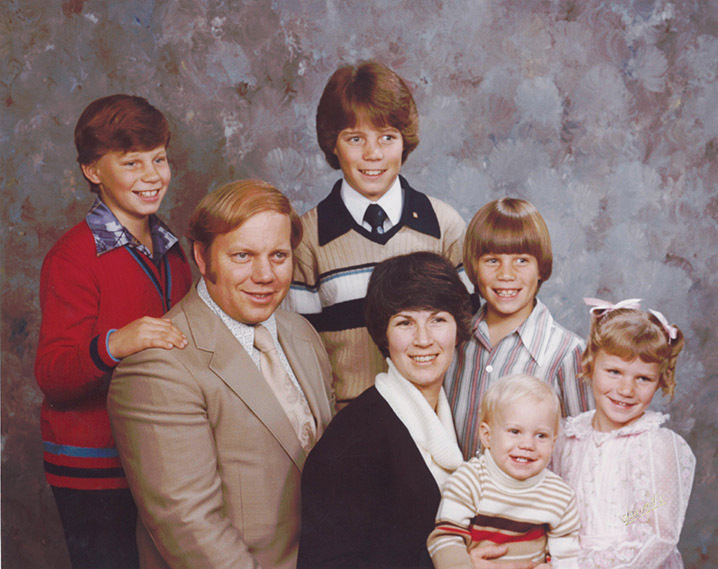 The Miller sons each represent the family on board committees. At first, the family, and some executives, had reservations about an independent board overseeing the business. “We’ve been a very successful closely held company,” Gail says. “Having people from the outside coming in and telling us how to do something is very difficult, but you don’t know what you don’t know until you get into that situation. “There will be a point when I’m not going to be here [and] my kids aren’t going to be here.” Therefore, Gail says, it’s important to have an independent board and good governance practices to guide management and owners through succeeding generations. All three of the Millers’ surviving sons; Carisa Krambule, the daughter of their second son, Roger, who died in an accident in 2013; daughter Karen Miller; and grandson Zane Miller (Karen’s son, who was raised by Larry and Gail and is considered part of the second generation) serve on the board of managers of the family’s private trust. According to the bylaws of that board, there will always be a blood descendant representing the line each of Gail’s children. The 68-member family also has a family council. Once a month Gail hosts a gathering of the council at her home. There is also a family office. Around the time of the creation of the company’s fiduciary board, things became untenable for Greg Miller, who was CEO of the group. 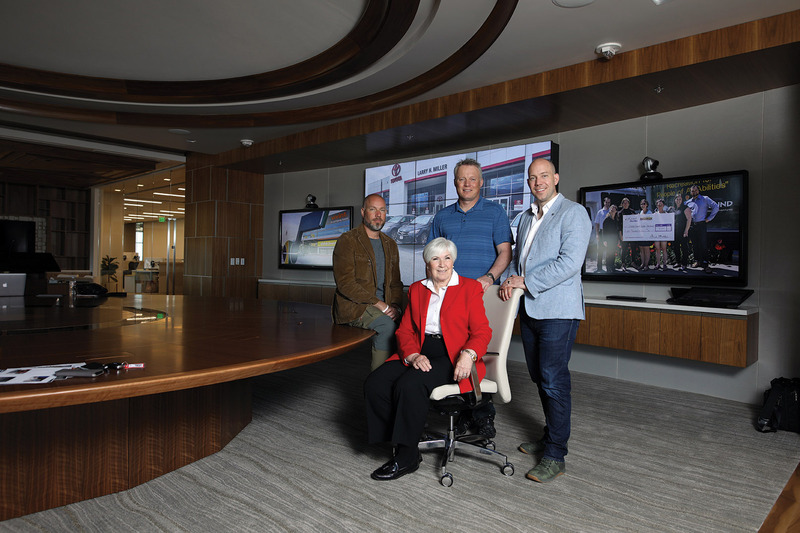 He had felt for some time that his mother, who was chair of the Larry H. Miller Group of Companies, wasn’t giving him the room to run the business. Greg left the company in March 2015. “There were three reasons that I stepped down,” he says. “I’m kind of a free spirit and hadn’t had any direct experience reporting to a board. I was not excited about having 12 different bosses and all the bureaucracy that followed around that. “I had other goals in my life that I wasn’t able to pursue because I was committed to running the family business. I chose to serve the family business. Greg says he felt as if his hands were tied, and it hindered his ability to run the company. He notes that the business doubled its earnings and employees during his tenure. Gail sees the situation around Greg’s resignation as being more about Greg’s “intensity” in the role and his desire to leave and do other things. But she acknowledges she didn’t want to leave the business. Rather than run the business herself, she says, she had projects she wanted to get done, and she wouldn’t step aside until they were complete. Her list included putting the board in place and establishing policies, a family office and an education program for the family. Greg felt as if pressure was building. “Every single issue was an argument and a debate,” he says. Greg says the first couple of years were “pretty sour,” but today relationships are on the road to recovery. “The difference now is the compulsion we had to be in the same place, arguing the same issue, is mitigated because I removed myself,” he says. When Greg stepped down, Gail turned to CFO Clark Whitworth, who had worked for the company for more than 25 years. Larry still looms large in the business, and the family plays a major role in the company, though there is no one currently in management. Several third-generation members work within the group, but it isn’t likely they’ll be ready to run the company in the near future. It might be 10 years before a Miller heir is ready to lead, Greg says. In the meantime, the company plan is that a family member will hold either the CEO or chair position. The family could hold both, but will always serve in at least one of the posts. The second generation has moved out of positions in the company that would require them to report to Whitworth. Greg is currently the Jazz’s representative to the NBA. He also owns and operates the Land Cruiser Heritage Museum, which includes more than 70 models of Toyota Land Cruisers as well as Land Cruiser memorabilia. Steve, 47, is the manager of the family’s ranch, runs the Tour of Utah and is in charge of special projects, like the remodeling of the Jazz’s arena. Bryan, 40, is now the steward of the “people and culture committee” for the group of companies. He heads up the “Who We Are” program, which encompasses the mission, vision, values and goals of the company and family. Karen, 45, sits on the family foundation board in addition to the board of managers of the private trust. On the anniversary of Larry’s death, the family and employees from across the companies use the day to discuss four main values of “Who We Are”: hard work, integrity, service and stewardship. “We train our people about who Larry was and what we stand for,” Gail says. The Miller family encourages employees and family to serve the community. 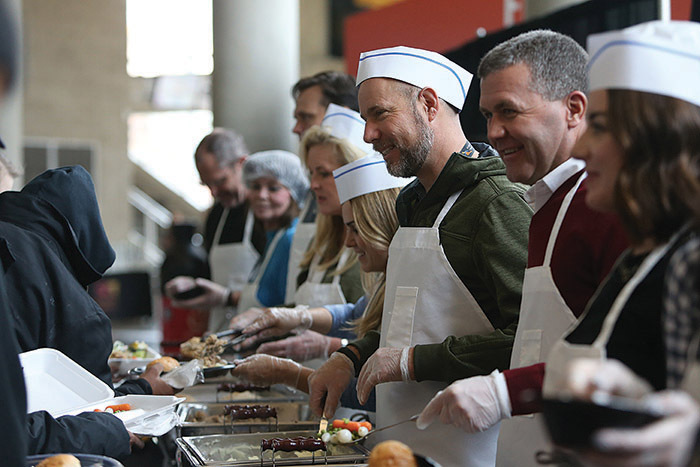 Service aligns with their values and their Mormon faith. During his lifetime, Larry did a lot of public speaking. While Gail had often stood on the sidelines, she found her voice after Larry’s death. “He spoke to the community, invested in youth and business. He could help kids learn how to get into business,” she says. “He knew a lot, he did a lot. Gail has 37 grandchildren, seven step-grandchildren and 19 great-grandchildren, with further growth anticipated in the third and fourth generations. Past contributions were made to organizations that include Bridle of Hope, a program that uses horses as therapy for women and children who have suffered abuse; a dog rescue organization; and a program that keeps hiking trails clean and mountain climbing viable. Succession wasn’t something Larry spent a lot of time on, and it’s something that has become a focus of the board of directors. “There’s not a single name we could say, ‘That’s a no-brainer, that’s a clear-cut winner.’ We’re 60-70% there; we’ll get one. The Millers hope a third-generation family member will work hard to be ready to take the helm in the future. Greg says the family needs to encourage this by rewarding the hard workers who are coming up now. He says being part of the family entitles members to certain benefits, whether or not they grow the business, but “you need to reward those who make good things happen,” and not just give underperformers a pass because of their lineage. To foster a successful transition to the third generation, Gail has installed an elaborate education program for the family (see sidebar). She is optimistic.